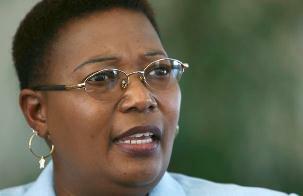 BULAWAYO – The breakaway MDC faction led by Thokozani Khupe (pictured) is struggling to shake off the now widespread tag that the opposition party is doing the bidding for Zanu PF. The funny party with this MDC is, they think they are the only opposition as such you think everyone is Zanu PF. That mean of you. You are hoodwinking peoole with such silly excuse.